As I'm sure many of you know by now, Google will be shutting down it's Google Reader service effective July 1. That's just one weekend away. And it's a real bummer. You may already be thinking about migrating your favorite feeds to a different reader. If you are, I hope you'll consider taking me with you when you go. To keep your place among the 3,000 or so people who read my posts every time I update, don't forget to re-subscribe to my RSS as you pick and choose your feeds. But if you're looking to truly take control of your access to the content I publish, I'd suggest email delivery as an even better subscription option. Every time I publish a new post (btw, new posts go up at http://gregverdino.com/blog rather than here, although the source feed remains the same) you'll get a nice, simple email with the full content of the post. Plus, email subscribers occassionally receive exclusive updates and offers -- so I think you'll agree that email is the best option. All you need to do is click through the blog (if you're seeing this in your reader right now), and type your email address into the email field just to the right of this post. You'll get a confirmation email right away - you will need to verify your address to begin receiving posts, so don't ignore it or skip this step. And of course, your email address is safe with me; I don't share emails with anyone for any reason. If you're a current email subscriber, no need to do anything. Email delivery will not be interrupted -- and your subscription provides access to everything I publish at the new gregverdino.com. I look forward to maintaining the relationship we've built through this blog. Happy reading. This week’s Five for Friday has a loose thread running throughout all the pieces: taking account of what’s worth saving, using it correctly, and getting rid of what’s ineffective. Spring Cleaning for marketers? Looks like it. We’re debating whether or not banner ads are dead, why mobile is slow to boil for everyone, the importance of your “not-to-do” list, shedding the rules of traditional media, and why you need to know exactly when your customer is buying your product. 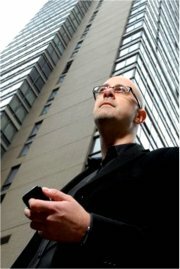 The challenge of monetizing mobile platforms goes beyond Facebook — everyone is having difficulty finding solid footing. Mobile usage is changing everyone’s business model, and mobile ads are 5 times less valuable than desktop ads, according to Mary Meeker (her full findings on internet growth and developing trends here: http://www.kpcb.com/insights/2012-internet-trends). Mobile-native or mobile-era companies don’t necessarily have a consistent advantage, but it’s early. Meeker insists that someone will come along and provide a highly workable model — she also believes that everyone is far more prepared and concerned with how to succeed on mobile than those who tried to do the same for the desktop web in the past. It’s a problem without a solution, but it’s also a shared problem. Nice advice piece on how you can better manage your tasks and avoid unnecessary distractions. While you’re bombarded with a constant influx of information and data, there’s no way to catch it all, and attempting to do so will only lead to exhaustion, unhappiness, and likely screwing up because you didn’t prioritize correctly. The author promotes the habit of making two lists to help guide you. The first is for where you’re trying to go and what you’re trying to achieve, the second for what is unimportant and not worth your time. It’s a seemingly simple activity that has the potential for serious ROI: completing tangible objectives that will continue to move you to where you want to be. Is Forbes the model for a digital-first media entity? How has Forbes transformed itself from a traditional media entity into a digital-first entity? Lewis Dvorkin, their new chief product officer, has had a lot to do with it–but he emphasizes that his model is not right for the entire media industry. Forbes has found success by opening up their base of contributors to greatly increase the number and diversity of voices on their site, blog-style. They’ve maintained a focus on readers’ engagement with content, rather than simply trying to drive as much traffic per story as they can. Forbes has also allowed select contributors access to this engagement, to see what kind of response they’re actually getting from readers — they also require writers to respond to commenters on the article’s page, to create a two-way conversation. The hope is to form a loyal relationship between Forbes readers and writers, advertisers and audience — one that can result in ongoing digital relevance. Delivering the right message at the exact right time is the future of marketing, and if you can’t figure out a way to do it well, you’re going to get left behind fast. It’s not good enough to be shooting off messages at the right audience. They need to be targeted AND timed. To combine the knowledge of who your consumers are, what they like, and how they find your product or service is a winning formula, and for marketers it’s vital to be able to turn that data into relevant information and offers for the consumer, and deliver it on the devices they’re using at that precise moment. Don’t rely on just one method — integrate all channels and devices in a cohesive, useful strategy that delivers promotional content when your customer wants it and can actually use it. This week we take a long, hard look at where the industry is headed and what you can do about it. Reconsider what it means to be an ad man (or woman). Why advertising needs to become (almost) human. How your brand should really be using Facebook. Our stories this week aim to inspire, inform, and move you to make change happen now. Here are our 5 top reads for Friday, May 18th, 2012. A refreshingly logical and forward-thinking examination of how the advertising industry is changing, and what you can do about it. Don’t just seek out the “now” results, the heavyweight stuff, the one big idea. Think about the many small interactions you and your brand can be initiating and involved in regularly. Sound familiar?Think about how your brand/service/product factors into people’s everyday conversations, what they’re saying about you, when it’s coming up and why. Realize that people generally do not speak strictly about brands and products in any lengthy, detailed way (excluding the ad people below). Stop relying on stealing away your audience’s attention with bright, annoying, flashing banners or messages. Depend on natural conversation between you and your customers, on crafting brand stories that people will want to discuss and share, and do this always--don’t stop. Advertisers and brands must learn to be ceaselessly creative, always adapting to what people are discussing and talking about and to fit into their lives without disruption. It’s an change, for sure. Rather than waiting on pioneers for you to assess and copy, go out now and be that innovative brand. There’s been a lot of hubbub about GM’s move to stop advertising on Facebook (timing is everything), but rather than focus on the too-soon-to-tell Facebook ad model, your company should be taking away one very important lesson from this that can be applied immediately. While GM has no plans to advertise on Facebook in the near future, they are going to maintain their Facebook page presence. This costs them nothing and allows GM to engage their customers through content and brand stories. A brand’s online identity, the stories it tells, how it goes about telling those stories and how it allows its users to be a part of those stories--that’s what Facebook is all about. Why anyone is surprised that Facebook isn’t the ideal platform for traditional advertising is a mystery to us. Use social, yes, of course. But use it the way your customers are using it--to be social. Hurling one-sided campaigns and display ads at them is not the way. Instead, come up with a solid startegy for how you can start a frequent, ongoing conversation with your customers, that matters to your customers and is also relevant to your brand. That’s real engagement. If you haven’t already stumbled upon this insight, this piece is worth your consideration. Looking past the studies showing that ad people are hyper-active on social media and therefore overestimate how much the average person actually uses it, the author goes on to say this makes them (yes, the advertising staffers themselves) an ideal medium for spreading content and opinions. Ad people, with their strutting, gregarious, social and pioneering ways, tend to share a lot of what’s currently inspiring them, making them laugh, making them jealous because they wish they’d come up with it first. Certainly a fair portion of that content being shared concerns inside jokes and useless infographics, but ad people also tend to have large social circles with whom they recommend products, campaigns, ads, brands, and stories. It’s a strange audience to consider for a marketer, but ad people drive influence, and if your brand or content appears on their radar as worthwhile, they’ll do the promotional legwork for you, gratis. Make content that’s creative and innovative enough to pique the interest of industry pros, and you won’t have to get the word out--they’ll speak for you, a lot. We’ve talked about creating stories, becoming a more social brand, building content to share and better engaging your audience and customers. This is a handy checklist of some very tangible ways you can make those things happen. Stop talking about yourself--give credit where it’s due and point your followers to other excellent sources of news and information. Be focused and clear with your content. Contribute to the content community--be conversational and try to start meaningful discussions or risk tweeting upon deaf ears. Most importantly, be active and not automated. No one wants a robot in their feed, so find a style that works for you or your brand and run with it. Right in line with what we’ve been talking about this week, Jay Baer gives you 6 great reasons why you should start thinking small and marketing content accordingly. Most of this is common sense that nonetheless gets easily forgotten--smaller means content gets picked up, read, shared, and promoted more often. His best point? Split your one big idea into 2, then 4, then 6, and so on. Do your best to skillfully break down that great idea into its component pieces that contain equally great ideas when spread out over a period of time and finally taken as a whole. Good thinking Jay - we can't help but agree. For at least a few years, American Express has been leading its category in marketing innovation. OPEN Forum turned the card you carry into a robust social system membership. Members Project was social before social was hot. By putting the reigns in cardmembers' hands this program redefined corporate giving and, I'd argue, provided the blueprint for later entrants like Chase Community Giving. While many other issuers still rely on tactical promotions to bump-up fan counts, AmEx is forging deep partnerships with social networks like Facebook, Twitter and Foursquare and inventing new ways to transact online. It's bold stuff from one of the biggest brands in the world, but it's hardly rocket science. And that's a good thing. Yesterday at a Direct Marketing Idea Exchange (DMIX) luncheon in New York, I had the pleasure of listening to AmEx CEO & Chairman, Ken Chenault, talk to a group of 70 or so seasoned direct marketers about four key principles guiding his company forward. While he barely touched on any of the programs I've outlined above, it was clear how the principles he outlined provide a solid foundation upon which to build new marketing, product, and business innovations. Here are Ken's four points (bolded) and my interpretations (just about everything else). Brands are even more important today than they were yesterday. To some, living in a world of unlimited choice might mean that brands matter less. That everything is a commodity when hundreds of similar, suitable solutions are a click, post or tweet away. But unlimited choice raises the bar for informed choice. And brand can play a key role in guiding informed choice - when that brand is trusted and stands for exemplary service. When you think brand, don't think logos and taglines and corporate standards. Those in fact may not mean nearly as much as they used to. But what those things represent - your culture, your values, the value you provide, the trust you've created over time - provides the key to differentiating your business in an age when choice might be limited but trust in corporations is at an all time low. This, for example, is why thousands upon thousands of small business owners not only choose AmEx for the plastic in their wallets but choose OPEN Forum (as opposed to, say, RandomSmallBusinessCommunity.com) as their online meeting place. Data is king. Well yes, of course it is. Chenault spoke about data as one of AmEx's most valuable assets. AmEx is (somewhat) uniquely positioned to own the data that comes from what he calls a "digital closed loop". Because they have both an extensive consumer network and an extensive merchant network they can derive powerful insights about attitudes and actions throughout the entire buy/sell process. Not everyone has that, of course. Even data monsters like Google really only see part of the process -- they know what you search for and where you clicked, but lose you before the transaction is made (especially if you end up purchasing offline). But the takeaway for any business is this: own your data and leverage it to forge a deeper understanding of your customers' actions (what they actually do) and aspirations (predictive modeling to gauge what they're likely to do in the future). If you're reading between the lines, you might already have a sense that AmEx's closed loop data has been a nice bargaining chip in its dealings with top social platforms. It's also fundamental to the guts of a program like Link Like Love, that uses your Facebook likes to deliver personalized offers. Scale is being redefined. Here, I was hoping for a microMARKETING plug but instead got quite the opposite. Ken said, "When Facebook has 900 million people, your 10 million customers aren't enough." While you might interpret this as one-percenter, imperialist, might-makes-right thinking the underlying premise is that in a world where data is king, the more people you're connected to, the bigger your data store, and the greater your opportunity for insights. Beyond the data though, the redefinition of scale carries an interesting business insight -- that it has become more important to be inclusive than it is to be exclusive. Facebook didn't really become a business until it moved beyond its college student core and opened its doors to everyone else. AmEx has focused heavily on exclusivity for more than a century - and while their Centurion and Platinum card brands and their services that provide cardmember only access to all sorts of experiences aren't going away any time soon, they are accelerating their move into new products to attract and engage entirely new customer segments. On the one hand this could be pre-paid charge cards, while on the other it could be innovative partnerships with financial service providers in BRIC countries. It could also take the form of seamless integration with Twitter and Foursquare so there is no technical barrier to social transactions. If you're going to transform the company around digital, it has to happen across the entire company. For all the focus on social business, the truth is that most businesses haven't even successfully made the shift from analogue to digital. For many, digital becomes a role. Digital becomes a department. Digital becomes an outpost. Walmart comes to mind - for all their innovation through Walmart Labs, that digital unit isn't even based in Bentonville where the emphasis remains squarely focused on merchandising the brick-and-mortar stores. To truly thrive in a post-digital world, companies need to converge offline and online, and every employee needs to adopt a digital-first mindset. Your traditional assets - whether those assets are a resonant brand; a large network of customers, suppliers, partners and employees; access to real world transaction data; state-of-the-art physical plants; or well-made products - are no less important today. But it's equally if not more important to develop clear, actionable plans for leveraging those assets into new, digital-forward initiatives. And it should be the responsibility of everyone in your organization to think about how to make this happen. I think this is all pretty compelling stuff - but also practical thinking that any company can use. How do you think you might apply these four concepts to your business? What would you change? What would you add? What’s keeping you from moving forward? CMOs and Marketing VPs agree that social has a huge impact on how consumers view brands, and yet they’re still not moving to incorporate it into their overall marketing strategy. Why? Confusion, company politics, and endless new distractions lead to a lack of movement, according to a new study by Forrester. More importantly, Marketing heads know they need a strategy, but can’t seem to come up with one. A few pointers: learn from others who are already working off a successful social strategy. Be willing to evolve and change as you go along — don’t jump ship if your first entrance isn’t exactly a hit. Reorganize, refocus, and try again. Finally, differentiate between platforms and plan accordingly. It’s not coincidence that some of the most successful companies on social networks have people devoted to each platform, sometimes audiences within those platforms. Think of social as a loose collection of many opportunities to engage and build relationships, in real time, rather than just another way to beam out your company’s agenda. Consumers are pickier, harder to please, and more informed than ever before. There’s really no fooling them any longer. What to do? Ramping up efforts to truly pay attention to your customer service is a fine start. Bad reputations spread faster than ever — so who wouldn’t want more stories about how simple and enjoyable your customers’ experiences are, and fewer customer complaints. Zappos is a well-known leader in the category of customer satisfaction. Unlike many other companies (especially online retailers) they make the idea of satisfying their customer a company-wide obsession. It isn’t about just having a streamlined feedback box, call/email service or team looking after the issue–the pursuit has to permeate the company from top to bottom and side to side. These days, if you’re not worried about what’s making your customers happy, you’re not worried about staying in business. Social media is certainly a necessary part of the mix, but it must be implemented wisely and strategically–a wrong move can land you many more angry customers. Think hard about how social fits into your company’s overall marketing/customer relations strategy before launching the tweets. As you know, content and the way that content is distributed has seen a massive upheaval. But while everyone’s been making a fuss over content and media, the real aim here should be (and has always been) to reach an audience. And how exactly are you planning to use all these new distribution channels to reach your audience? Don’t sideline it or make it somebody else’s night job — or even worse, someone else’s problem. Create a position that focuses chiefly on audience development. Draft a strategy based on how those audiences are finding and using your content. Develop systems to organize and manage all that audience data, and use that information to put content where your audiences want it. Are You Targeting a Phantom Market? Good piece about choosing the right markets to enter to further your growth agenda. Using Kellogg breakfast cereal in India as as the primary example, it goes on to say that it’s not always so easy to simply capture a small fragment of that huge, established market. Sometimes your company needs put in the legwork to identify a brand new market, and deliver on its needs fully. How can you accurately gauge market interest and their value for your company and product? Get accurate, honest insights into the existing markets and consumer behaviors. Don’t assume anything without solid data to back it up. After you have that, create an innovative product that is made for this real market and offers something the competitors don’t and that the market genuinely wants–even if they don’t realize it yet. Marketers and companies can learn a few things from Kickstarter’s runaway success. It’s a crowdsourced fundraising platform driven by a community of individuals who believe passionately in the projects they choose to fun — and those projects can be almost anything. And the impact on the projects can be jaw-dropping. Amanda Palmer is a singer who raised nearly half-a-million dollars to fund the recording, distribution and marketing of her latest album (an advance far greater than she would have received from even the most major of labels). But aside from the obvious upside for project starters, the system bakes in ample upside for the funders — and that’s where the biggest lessons for businesses lie. Benefits for funders (aside from the satisfaction of giving of course) include perks unique to each project and creator, and this excitement makes something that’s normally tedious (fundraising) into a really exciting, social exchange between creators and the people who want the creation. The point is: allow your fans, customers, communities and/or audiences to engage creatively with you and one another, bake in the right kinds of benefits and rewards, and the results may surprise you in the best way. This year, April showers aren't just bringing us May flowers. They've also brought us our first May edition of Five for Friday -- or Cinco para Viernes if I remember any of our high school Spanish. This week, we're talking about social, social and more social. What it means for entertainment and media companies. Why you may not want to get too attached to Facebook. How Google might be botching it (again). And some practical advice and provocative questions for marketers still struggling to get social right. Enjoy this week's Five for Friday. And then get out there and enjoy Cinco de Mayo. Social media is having a measurable influence on the ways people are consuming their entertainment and sharing it. While most are still more influenced by traditional marketing when deciding on which movie to see, for instance, they are increasingly using social networks on their mobile devices while watching that movie -- in theaters. It’s a strange form of multimedia multitasking that has generally been portrayed as the effect of shorter attention spans for younger people. But it might actually reflect our growing ability to pay equal attention to many important things at once. Hmmm. The point is that social media is not the distraction point, but the connecting factor for many forms of entertainment. It should be leveraged, not ignored. Facebook and Google are titans of the Internet, but could they eventually become the victims of their birth-generations? The article goes on to explain that, when filtered through sociology and when viewing the corporate landscape as a sort of ecology, companies are subject to the quirks and traits of their heritage and starting point. Not unlike how a Baby Boomer or Millennial is to hers. Maybe the “older generation” of Internet companies can’t ever fully adapt and adopt the new laws of the land (social, mobile, location-based services), despite constant efforts to “innovate.” Perhaps it’s just a matter of time--despite money, leadership, and past successes. Facebook still has no idea how to successfully monetize mobile. Google+ has, so far, been somewhat unsuccessful in entering the social realm that Facebook succeeds in. Neither one is native to mobile, and that’s where the world is headed, fast. So read that headline again and ask yourself just how crazy it sounds. On the topic of Google, a short but worthwhile sentiment: The G+ social network is getting seriously hungry for some action, and their efforts to fully integrate the network into all aspects of Googledom are starting to irk some users. With the addition of a G+ like button on all YouTube videos replacing the familiar thumbs-up icon, social media celebs are openly calling Google on their very shameless play. The lesson here: Even Google needs to step back and take a hard look at their strategy and what their users actually want. Here are some good takeaways for companies trying to get “social”: Your customers have many constantly-expanding networks on social platforms with which to share content and, potentially, your content. Find creative ways to appeal to people and let them bring you into their conversations. Stop relying on old measurement techniques when gauging success on social--it’s more influential than you think, and numbers still can’t reflect the cross-platform sharing that goes on. Don’t get distracted by ROI tunnel-vision. Work on making a real investment and connection with what interests your audience. Finally, don’t just funnel your customers’ thoughts about your product or service into a dead end--put their feedback to good use, find ways to address their concerns, and make it a priority to really consider your audience before acting. A short checklist for CMOs and VPs of Marketing. Ask yourself: Am I contributing anything of worth to my customer, or simply throwing shameless promotion at them constantly? Am I interacting meaningfully with that nice, big number of followers, or just finding new ways to build it? Am I telling an engaging and dynamic story with my content? In this week's Five for Friday, let's take a look at social media from the perspectives of a member of traditional media's old guard, a B2B marketer, a media futurist, and a media buyer. Plus we'll look at an interesting take on why companies should focus less on what's next and do a better job of handling what's now. Put it all together, and you've got "marketing through the looking glass" -- everything looks kinda familiar but nothing is quite what it seems. Here are some of my favorite reads and interesting ideas for the week ending April 27th, 2012. Great look into how a veteran of traditional media has moved into social. They’re not just present on Facebook and Twitter (with more than 20 accounts); they actually have a micro-targeted strategy for each to clearly govern their respective uses. They’re not using social to simply push out information to readers -- depending on the account and platform, they also gather resources and engage their audience. But perhaps most importantly, they view social media as a deadly serious requirement of the new media world, and staff those accounts accordingly. The AP’s guidelines for social include Facebook for engagement, Twitter for breaking news, neither platform gets the story first -- it still hits the wires before social, a rule the AP calls “sacrosanct.” Obviously even in a digital and social world, traditional has it's place -- and the AP has well-defined rules for how the pieces fit together. If this headline surprises you, start worrying. Social Media Examiner’s 2012 Social Media Marketing Industry Report gives a good overview of how social media is being used by marketers, but more interestingly it points to how business-to-business marketers -- often thought to be lagging consumer brands -- are actually beating out B2C marketers in terms of social media success. B2B marketers are seeing across-the-board 10% lifts over their B2C counterparts in generating new business partnerships, achieving improved search rankings, and gathering marketplace insights as a direct result of social media use. If your're a B2C marketer, maybe you can learn some social media lessons from your vendors. And if you're a B2B marketing who hasn't yet begun using social as a serious business tool, maybe you need to start yesterday. So you have fans and followers. So what? Top-flight media futurist Mike Walsh says the real business value lies not in the numbers but in your ability to get those fans and followers to talk about the stories you’ve curated around your brand. Get people interested enough in a story and they’ll share it with all of their friends and followers. Here’s how: Track and understand which stories get the most attention, and whether that attention translates to new customers. Deeply research your customers’ lives and the types of stories they’re already telling--then you’ll know how your brand fits into their social storytelling. Leverage new platforms (like Pinterest) if you can do it in a way that makes sense for your brand and the social lives of your customers. And if you’re going to reach for the world’s attention, be prepared to know what matters to your customers locally (even if "local" is halfway across the globe from where you sit). If you work in the business, you've seen plenty of those studies that project just how big the digital display ad spend will grow over the coming 3, 4, or even 5 years. This article suggests that those numbers are totally irrelevant. Not because predicting the future is turning into something of a fool's errand, but because the future of advertising has little to do with display ads as we know them today. People are spending huge amounts of time on social sites that eschew standard IAB display units in favor of "native formats" (Facebook Sponsored Stories, Tumblr posts, Twitter's promoted tweets and trends, branded content, etc.) What does this mean for marketers? Simple: say goodbye to one-size-fits-all advertising. It’s now a requirement to appeal to your customers by acting like them--participating in social spheres of influence, building an audience and creating content (see “Five Ways to Weaponize Your Brand Storytelling” above), and presenting that content through paid media placements and earned media opportunities that integrate seamlessly into each social site's network experience. And be prepared to change course at a moment's notice. So what’s the future of digital advertising? This one would be a big idea, if only it weren't so obvious. Oh -- but being obvious in this instance is actually a very good thing. When most of us set out to innovate, we are so concerned with hitting on a proverbial A HA! moment. But in doing so, we just might be missing out on the regular, simple stuff (on the mundane and the obvious stuff) that really matters. Just because your customers are giving you direct feedback about new wants they hadn't even realized they had and endorsing innovative features they’d love to have in theory, that doesn’t mean your brand should ignore the obvious patterns about what they currently do and like right now. Here's the catch. If you're missing the obvious little things, chances are so is everyone else. And that means there's an unaddressed (or at least under-served) need waiting to be satisfied. Sometimes the best way to truly innovate (not merely invent the new, but create real value for your customers) is to focus on the near-in easy asks and answer them better than anyone else. My client Chirpify is having a damn good day, today. The company, which "turns tweets into transactions" by letting any organization or individual link their Twitter and PayPal accounts to conduct super simple social commerce in 140-characters or less, just closed a $1.3 million Series A round. If that's not enough, they're also rolling out a new solution that allows entertainment companies and independent artists to use Chirpify to offer digital downloads of songs and electronic tickets straight over Twitter too. So now labels and artists can come up with all sorts of creative ways to directly monetize their followers. Cool. Chirpify's CEO, Chris Teso, thinks his company's new capabilities just might be enough to chip away at iTunes and Ticketmaster. He just might be right. In fact, Chirpify's opportunity is even bigger than that. They just might have cracked the code on monetizing social media. They're all about seamless social commerce that is big, noisy, and actually works. Big congratulations to Chirpify -- and to mobile accelerator Upstart Labs (also a client), who provided Chirpify with seed capital and access to services like ours. In a new feature that I hope to keep up each Friday, I'll take a look back at the week and summarize five stories I found newsworthy, noteworthy, insightful, interesting, or just plain fun to read. We'll do this to keep ourselves on our game, and to help keep you on yours. Oh, and to save you the effort of having to filter through the 5,000 unread items in your Google Reader. Let's call this regular feature Five For Friday. And here are my picks for the week ending Friday, April 20, 2012. Matthew Ingram's GigaOM piece that inspired our post earlier this week. No news here: traditional media’s ad revenue streams are drying up--the print industry has been watching that leak for years, wondering and hoping but not acting swiftly or aggressively enough. With insight, Ingram’s article focuses on the ways the media industry can perhaps turn this around, and it’s not about one big easy solution. While digital-native media has the upper-hand, traditional media should look to multiple (smaller) sources of digital revenue that have the potential to add up fast, such as custom publishing and e-books, as well as leveraging “in-sourced” skills and live events that are already a part of their business. It’s easy to claim a corporate culture that promotes innovation, yet it doesn’t seem to be a top concern for many companies. Even if you have a leader who seemingly champions the cause, writes innovation expert Scott Anthony, he or she may actually be the single greatest obstacle in innovation's way. Collected in this short list are four of the leader personality types to watch out for, and a simple solution for promoting innovation in your organization. Om Malik on the decay of physical media, the rise of digital media and why apps are the “right metaphor” for the new world. Agreed, but how long before we’re going beyond apps into another type of “container”? This is a fast, rushed, shaky new world, as Malick mentions, and while apps are just starting to take a real, firm hold, it is unlikely they are our most satisfactory content-delivery model. But he brings up a great point near the end--if advertising agencies don't already have a new approach for the new world, they're going to need one if they don't want to find themselves disrupted in the wake of broader media and marketing disruption. The title says it all, but the point is worth discussing: Facebook needs to monetize their mobile app and mobile web presence, which they are not currently doing. If they continue on that path, their revenue and valuation will end up taking a serious hit. While on its surface Instagram is a photo sharing application, the more important reality is that that team built a wildly successful social experience that was mobile at its core. So Facebook's Instagram deal really represents a serious push into mobile, and should be a signal to everyone else (if proof was needed) that having a solid mobile computing strategy and a clear plan for monetizing your mobile assets are the keys to the future of any media company (traditional, digital or social) and--for that matter--any brand that wants to maintain consumer relevance and engagement over time. am expanding on Doctor's news-centric take to include all types of print publishers. 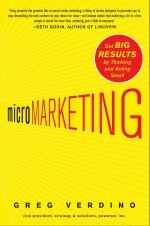 Nonetheless, the overriding message in microMARKETING was simple: that brands and their agencies could no longer rely on the easy option. The "one big thing" (whether it's a Super Bowl spot, full page ad in the Times, a Yahoo! homepage takeover, or even a big bet on some shiny new social media juggernaut) to deliver the kinds of returns they expected, and would instead need to be agile, experimental, innovative, and intelligent in combining many, many small things that - in the right combination - would result in truly impressive big results over time. So why so slow to change? The media business struggles from two fundamental problems. And two paths to evolution. The first is a matter of business model. Media companies are - for the most part - looking to replace two massive but dwindling revenue models (subscriptions and advertising) with two shockingly similar revenue models (paywalls and advertising), in an age when consumer media consumption patterns are in a state of constant flux and brand advertising choices are virtually unlimited. The problem is that the loss of traditional dollars generally exceeds the digital dimes these two models are capable of adding to the top line. The solution? More sources for the digital dimes. Rather than attempt to replicate the familiar old models that no longer resonate so well, media companies need to diversify their models to create a wider variety of (mostly) smaller revenue streams that, all together, will drive stability if not growth and also evolve their businesses into entirely new areas. Doctor prescribes a handful of innovative moves - from moving upstream from advertising to marketing and becoming a service provider to other media companies, to ramping up custom publishing and making the move from disrupted to disruptor by entering the fast-growing ebook market. If he can envision a half-dozen new models in the span of a blog post, surely a seasoned media pro can envision dozens from in the trenches. Therein lies problem #2. Problem #2 is a matter of business culture. Having spend decades (if not centuries) becoming overwhelmingly successful by being really really good at one or two things (capturing massive audiences for walled garden content, and collecting insertion orders from brands looking to advertise to those massive audiences0, it is now difficult for media companies to adjust to the new-found need to get really really good at now just two, but 20 or even 200 things. While there are certainly exception to the rule and I know for a fact there are some very smart and innovating outliers chipping away from within even the most traditional media giants, the rule stands that media cultures aren't generally built for agility, random experimentation, rapid and radical innovation, or gutsy start-up style disruption. To be frank, these things remain challenges for most marketer cultures as well. Don't even get me started on most agencies... Sure, innovation happens but, as Ingram points out in his GigaOM post, "many of these still feel like afterthoughts or side projects rather than a coordinated plan of attack on multiple fronts. The ones that are trying the hardest always seem to be the digital natives, or the ones with the gun to their head." We don't need bolted-on matching luggage. We need true multichannel innovation. And to get there traditional-first media companies will need to adopt a new digital-first mindset that drives new business and monetization strategies, incubates new digitally-minded talent within the organization or brings new talent in from the outside, and spawns businesses-within-the-business at a staggering rate. And all of this, of course, requires not only the creation of an innovation culture but also the development of a proper company-wide innovation capability spanning people, process, technology, partnerships and ultimately new measures for performance. Thinking small is no small change. But that doesn't mean it's not possible. It is. And the significant effort and even more significant level of discomfort are more than outweighed by the strength of the foundation you'll build for the future of your business. To quote Ken Doctor, "Overall, it’s much better to move into the future with a half-dozen revenue streams — even if some are now just trickles — to stick with only two big-but-slowing ones. It should be more lucrative than selling the same old things. And maybe more fun, too." The media landscape today bears little resemblance to the media landscape five years ago, let alone 50 years ago. If that statement comes as a revelation to you, you really haven't been paying attention. But there's a big difference between marketing pundits pounding the drum, and major brand marketers changing they way they connect with consumers. And when it comes to major brands, they don't come much more major than The Coca-Cola Company. The gang at Coca-Cola have been innovating for years, learning lessons long before most other mass marketers have wrapped their heads around the shifts happening in media and culture. But their latest leap seems more dramatic. More comprehensive. No wonder. They have big, audacious goals to reach -- double sales of Coca-Cola products -- so they need a big, audacious way to get there. Their solution? Something Coke's VP of Global Advertising Strategy & Creative Excellence, Jonathan Mildenhall, calls Content 2020. Content 2020 is shorthand for a comprehensive, enterprise-wide shift from static one-way storytelling through traditional advertising messages replicated over and over and over across dominant mass media platforms; toward the creation of "contagious" two-way storytelling that is both "liquid" and "linked". To get there, Coke is changing everything -- from how they construct each strategic brief and how they gather and incorporate data; to when, where and how they partner with consumers, content creators and technology companies. And for a brand that built it's brand on traditional advertising, it is notable that there is scarcely a mention of media partnerships. Why fall between the cracks in the content when you have the breadth, distribution, and (now) the strategy to actually become the content people want to consume?